“Maithripala Sirisena, 53, is the new Minister of River Basin Development and Rajarata (North-Central Province) Development. He first entered Parliament in 1989. He holds a diploma in agriculture and is currently the secretary of the SLFP. Sirisena was the deputy minister of irrigation in the previous PA government and served as minister of Mahaweli (river basin) development from 2000-2001. As a “rustic”-style politician, he is popular in rural areas of the country. He is a Sinhalese Buddhist and is married.” the US Embassy Colombo informed Washington. The Colombo Telegraph found the related leaked cable from the WikiLeaks database. The classified diplomatic cable details the biographic data on Sri Lanka’s new cabinet was sworn in on April 10, 2004. The “Confidential” is cable signed by the US Ambassador to Colombo Jeffrey J. Lunstead on April 15, 2004. The Deciding Vote – Does It Hold Water? As soon as someone mention ‘rustic’ I hope George Bush is not conjured up for comparison. George is conservative Right whereas My3 is liberal left. JHU & free education mutt seated on a gum tree trying to play lexicon with horse riders. your climate does not permit a ‘rusty nail’ to “conjured up“ rusty from the country as in a James Herriot Classic. to pick up his award and seasonal skiing. 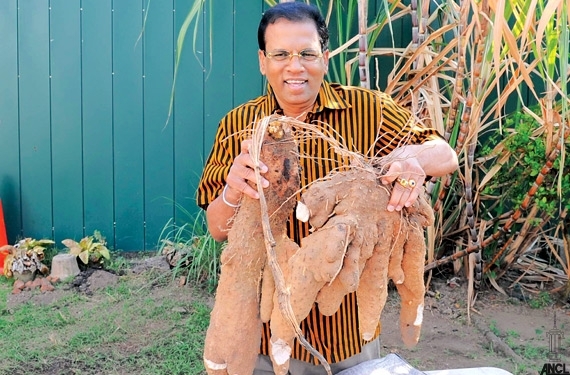 Maithripala reportedly has declared his assets and is willing to share details with the public. I am waiting for MR’s declaration. MR has gone again to Thirupathy temple in South India to gain more ‘merit’ to win the election. with a foot-note that these figures are forecast on hidden evidence, as MR has NOT submitted his Declaration to the EC. If one is submitted, well and good as either MR has to deny the placard or submit a true declaration in the run-up to 8th PE. People with courage to do this are yet to be born among the Sinhala community!!! All are spineless creatures!! What assets has MR to declare? May be Thirupathy Venkadeswarar will come to his rescue and change all his financial records to reflect “living below poverty line” He has the ability to bribe anyone even gods and goddesses!! Has he lost faith in Guruvayur Appan? He cannot expect much favor from Hindu gods in Sri Lanka after bombing them!! By the way did he declare his assets when he contested last time? At Thirupathy what response will he get? BTW I wonder whose money is utilized to travel to and from India for MR and his pandam karayas…..
Sri Lankan people are fools to fight and vote this type of people who are jumping from oposition to government and vise versa. PLEASE REVISE THAT MAITHRIPA SIRISENA IS 63 YEARS AND NOT 53.
read and understand This is a posting in 2004 and then Maithripala was 53. There is no attempt make him 10 years younger. This is the great character in our political culture. We all wholeheartedly salute you. You are the only person who righteously and morally govern our country. I kindly ask people to vote for him to lead our country towards prosperity and justice. Chee Aney; See what the Suddhas telling about this man. Rushtic or something. In other words they telling he is a big Godaya.